For Californians commuting throughout the Bay Area, your home’s garage doors are going to be the largest working component of your home, and in many cases, they will also be one of the property’s most prominent features. Therefore, when you’re looking for garage doors around San Jose, come into the Cal’s Garage Doors showroom to see examples in person. In a recent ‘Cost vs. Value Report’ from Remodeling Magazine, the numbers show a new garage door project will return 72% of your investment when it comes time for you to sell your home in the real estate market. This easily makes it one of the simplest and most valuable home improvement projects you can undertake. 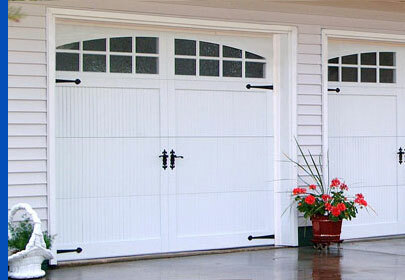 A beautiful set of garage doors can really boost the curb appeal of a home. There’s no “right answer” for the best type of door, because the color, style, and size of your home and garage will all play a role in helping you select new doors that make you smile when you turn into the driveway. Because we understand the importance of garage doors to your home, the team at Cal’s Garage Doors is happy to explain a few of the most common styles and tops manufacturers that we carry so you can get inspired to find the perfect doors for your own property. When it comes to new garage doors, there are about four basic styles to choose from: doors that swing outwards, those that swing up, those that roll up, or doors that slide to one side. All these styles can be made from a wide variety of different materials, including wood and aluminum, although at Cal’s Garage Doors, we typically recommend durable and lightweight aluminum to our customers. Throughout the Bay Area, by far the most popular option for garage doors San Jose, CA, is the sectional roll-up garage door style in a variety of materials and colors. For a distinctive look, or to prevent the door from impacting ceiling clearance, then swing out carriage house doors are an excellent option. We understand how important it is for our clients to choose doors that closely match the architectural style of their home. For example, if you own a Craftsman bungalow, then a swing-out door could be the perfect match, since they closely resemble the types of garage doors found in early Craftsman homes. Even if real swing-out doors aren’t a practical option for your space, then you can opt for a traditional roll-up sectional garage door that’s made to resemble a swing-out door right down to the faux strap hinges on the sides. 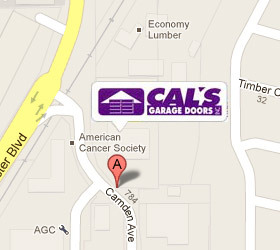 Cal’s Garage Doors strives to offer only the best products on the market today. For example, we’re proud to be a Carriage House and Amarr garage door retailer. 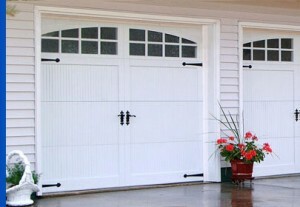 Both Carriage House garage doors and Amarr garage doors are available in traditional and contemporary styling. Other features, such as panels and trim, can be customized to create the unique look that you want for your home, like doors featuring glass paneling, shatterproof glass, or frosted plastic. Of course, to go along with your new garage doors, you are going to need a garage door opener as well, which is why we are proud to carry the famous LiftMaster Professional line of garage door openers. We’ll set up a wireless door opener for multiple bays and multiple cars in order to make it convenient for everyone in the family. Once you’ve visited our showroom in Campbell and chosen the perfect set of doors for your home, Cal’s Garage Doors offers professional Garage Door Installation so we can give your home the facelift that it deserves anywhere around San Jose and the Bay Area. We offer free, no-obligation estimates on all new garage door installation projects, so just Contact Us today at (408) 379-5001 for an appointment or stop by our showroom to see just what a new set of beautiful garage doors can do for your home!